The Boston Bruins just won’t quit. Heading into their Tuesday night road tilt with the Carolina Hurricanes, the Bruins were coming off of their first loss in seven games. The contest saw the return of Brad Marchand (upper-body injury) and David Backes (three-game suspension), though the Bruins were still shorthanded heading in with defender Charlie McAvoy out for likely the remainder of the regular season and Patrice Bergeron still set to miss time. The first period went well enough for the Bruins who found themselves outshooting the Hurricanes (who hadn’t been outshot in their seven previous periods heading into the game) with Marchand scoring the period’s only goal with 10.5 seconds to go in the opening frame. 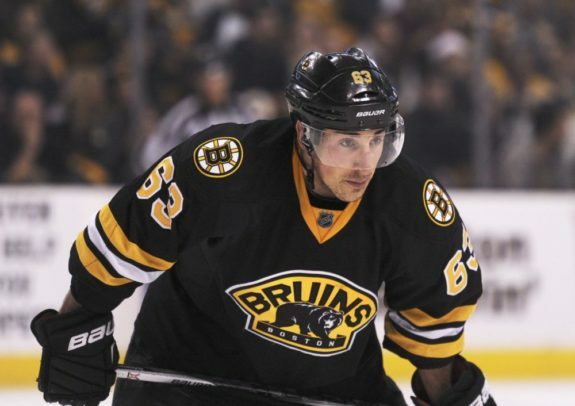 The goal served as Marchand’s 30th on the year as well as his 70th point despite only playing in 54 games due to injuries and suspensions that have held him out this year. It wasn’t until the second period, however, that the Bruins started to slow down. The Hurricanes would score three goals in the middle frame as well as a fourth unanswered, short-handed goal just 51 seconds into the third period. 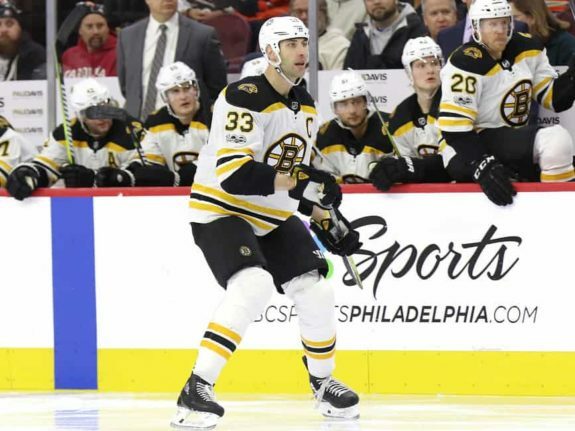 Things took a turn for the worse as well when Zdeno Chara, Jake DeBrusk and Torey Krug all left the game following the Hurricanes fourth goal. Or at least they should have taken a turn for the worse if it weren’t for resilience and a third-period hat trick from David Pastrnak. It took him 240 career games, but the 21-year-old Pastrnak finally scored his first career hat trick in impressive fashion Tuesday night. Though he may have been slumping for a few weeks, it was evident that he was starting to turn a corner heading into the game against Carolina. With goals from Grzelcyk and Heinen added to the mix, the Bruins would go on to win the game and come out with two points in a game that they ultimately had no business even taking one point from. Despite the concerns about Pastrnak’s slumping goal scoring this season, the young winger has scored 27 goals and 68 points in 68 games. Those totals would put him on pace for his second-consecutive 30-plus goal season (32, to be exact following 34 last season) and 82 points in 82 games. It’s understandable to want more out of Pastrnak at times. It’s also understandable to expect fewer turnovers from him in his fourth season in the NHL. 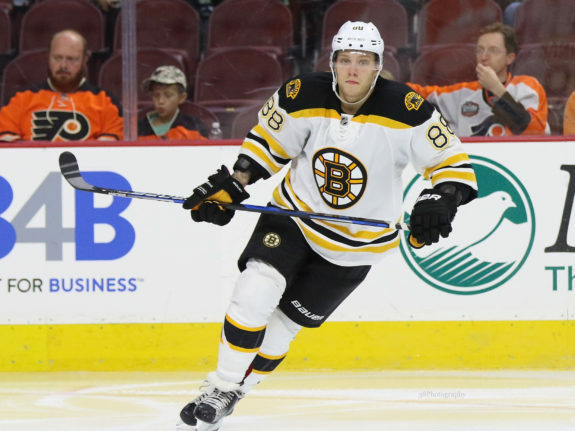 With his dynamic ability, conscious two-way play, lethal shot and tremendous vision and playmaking ability, it’s clear that the concerns about Pastrnak should all be taken with a grain of salt. After all, he’s still only 21 years old. There will be countless up-and-down sequences throughout his career. All Bruins fans can hope for is that he continues to learn from them and improves as he continues to hone in on his craft. Something else to note is that as good as he’s been statistically, he might still have room to be even better as he matures. It isn’t every day that a comeback like that occurs in a hockey game. Though it might not even be the most memorable 4-1 comeback for the Bruins in recent years, the circumstances of this game shouldn’t be ignored either. 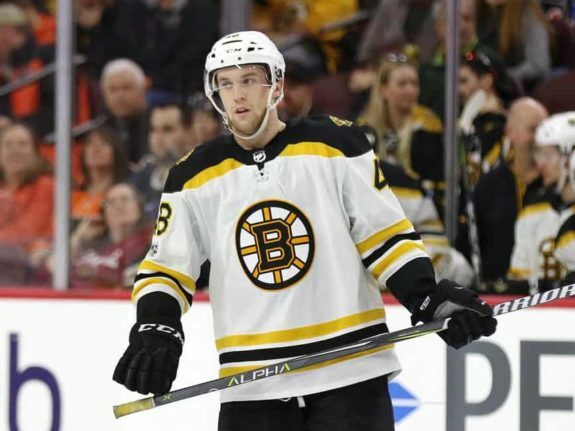 By the time the Bruins had started their comeback, they were without the services of two top-six forwards (Bergeron and DeBrusk) and three top-four defenders (Chara, McAvoy, Krug). That isn’t a typo, either. In a game that had the makings of being the worst game for the Bruins all season, the end result was an instant-classic third-period comeback game that could prove as a catalyst for this Bruins team moving forward. With the postseason creeping closer with every passing game, the Bruins proving they can win games without their best players has become a narrative all of its own. This team is winning games despite their most important pieces missing and regardless of how a game starts, the Bruins will almost undoubtedly be competing and in the running to win until the very last buzzer. With nothing mattering in the postseason other than winning games, this type of never-say-die attitude is encouraging. What isn’t encouraging, however, is the fact that the Bruins have had so many games where they’ve barely come away with the victory. Winning is good. Eventually, however, bad starts add up and will cost teams big games if they continue to play this way early on, regardless of who is dressed for the team each night. It says something, though, that the Bruins can be in a slump right now but still find ways to win seven of their last eight games. Typically, when a good team slumps, they come away with multiple losses. No matter how poorly the Bruins play in a period or game, however, the fact that they’ve still been able to come away with wins so frequently says a lot about this team’s resolve and about head coach Bruce Cassidy’s excellence behind the bench. It’s been said before and it’ll be said again – a win is a win no matter how it happens. The team who plays the best game doesn’t always come away with the win. It can be frustrating, but when a team plays poorly and still finds a way to win games with consistency, a pattern can be observed that should instill confidence in anyone hoping for a deep postseason run from this team. 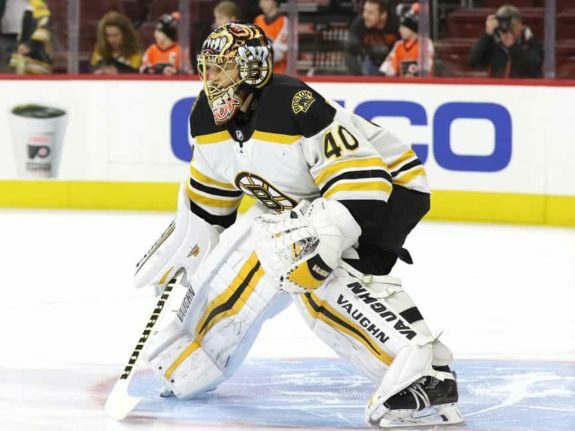 When the Bruins eventually sort out their early-game woes and start stringing together dominant performances like they did early in the season, this stretch of hockey will serve as nothing more than a blip on the map. In general, players underperforming at the end of February or beginning or March will always be preferable to the same thing happening in May or June. If the Bruins can both slump and win games, that’s all the better for them as they’ll have things sorted out by the time the playoffs roll around. Nobody said winning a Stanley Cup would be easy.